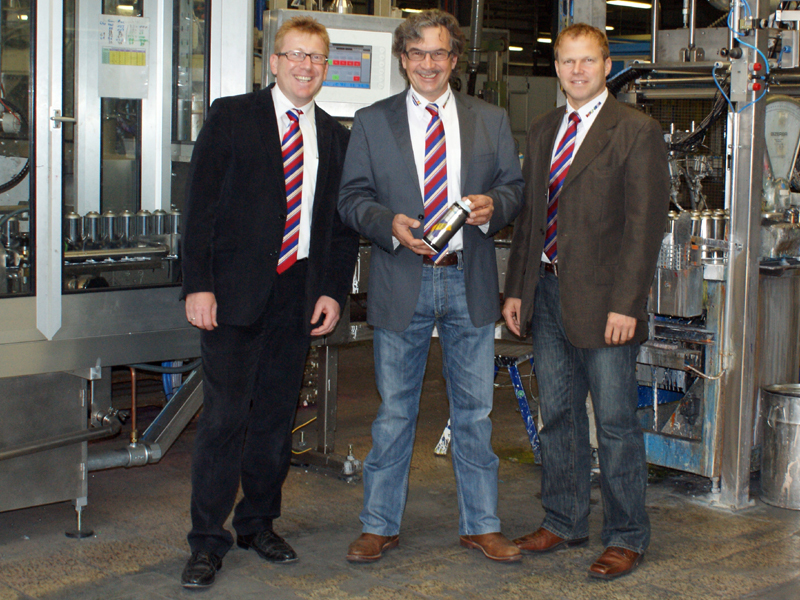 Photo, from left to right: Ralf MÃ¼ndÃ¶rfer (Plant Manager), Silvio Keller (Managing Director) and Tobias Hornung (Marketing Manager) proudly present the 800 millionth spray can in the MOTIP DUPLI production site HaÃŸmersheim. MOTIP DUPLI, European leader in production of spray paint and touch-up-pencils could beat their own production record in the plant in Haßmersheim/Neckar and thus underlined their predominance in the spray paint business. 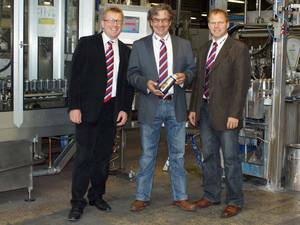 With the production of the 800.000.000th spray paint in the plant Haßmersheim they could celebrate a new, extraordinary record. During night shift on June, 6th 2011 the DUPLI-COLOR platinum was manufactured as the eight hundred millionth spray paint since the beginning in 1956. The immensely enhanced productivity in the most modern aerosol production plant in Europe shows itself in the fact, that the time intervals are getting shorter to reach the next 100 million pieces. 1978 the first 100 million aerosols were produced, eight years later the second 100 million cans and only six years later the next 100 million spray cans were manufactured. The whole MOTIP DUPLI GROUP achieved already in 1997 the magic number of one billion aerosols. The high acceptance of the brands DUPLI-COLOR, MoTip and presto enable this strong growth in a profitable way.